Amazon Prime Day is July 11th - Get a $10 Amazon Credit to Spend! 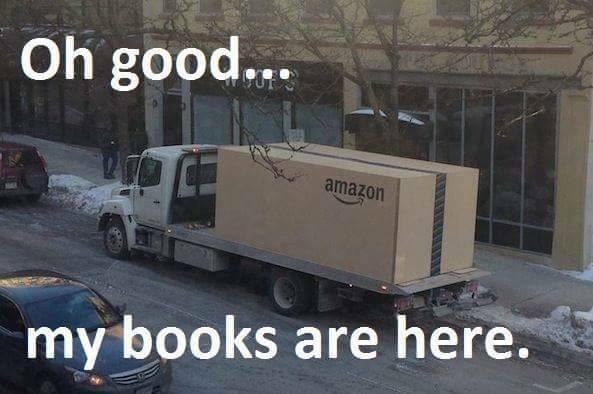 I don't know about you, but sometimes it seems like I don't know what I would do without Amazon! How did we ever survive without it? 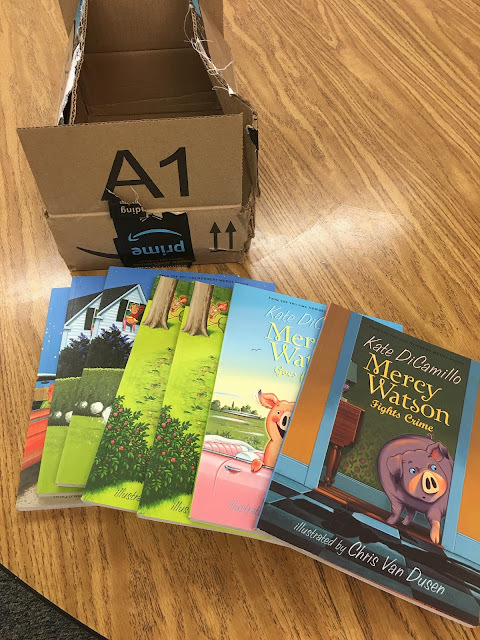 Not only do I buy most of my books from Amazon, but I get a fair deal of school supplies, home supplies, and even presents for birthdays and Christmas for my boys! Amazon became even better when I signed up for Amazon Prime and got FREE Shipping (along with a whole host of other benefits). One of those benefits is Amazon Prime Day which rivals Black Thursday for deals! If you are not already an Amazon Prime member, you can sign up for a free 30-day trial of Amazon Prime to take advantage of all these deals! BONUS: Right now you can get a free $10 Amazon Credit when you use Prime Video for the first time! Prime Video is one of the many benefits of having Amazon Prime! This credit is valid for new and existing Prime members who have never used Prime Video in the past. 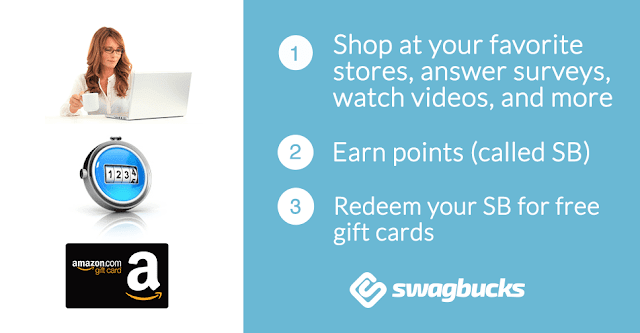 And... if you would like to earn additional Amazon Credits, you might like to try Swagbucks! I earn approximately $10-$20 a month which helps cover some of the costs of items I buy for my classroom. What are your favorite things to buy on Amazon? 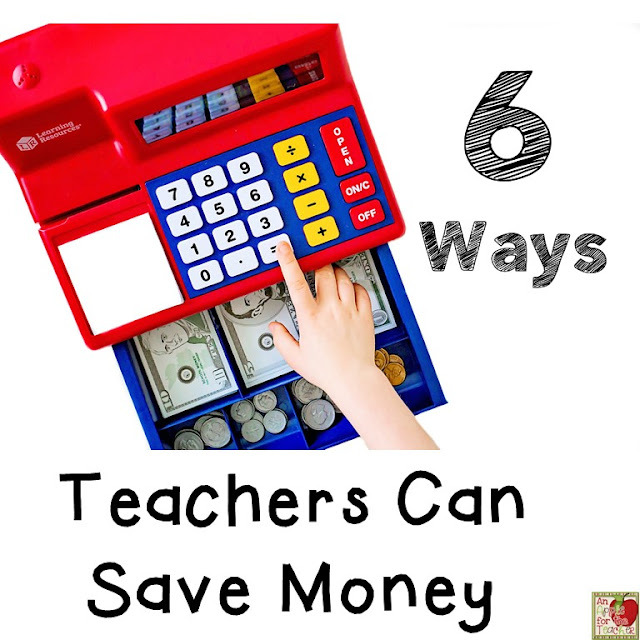 For more ways to save money, check out this blog post 6 Ways Teachers Can Save Money. I hope you are enjoying your summer! 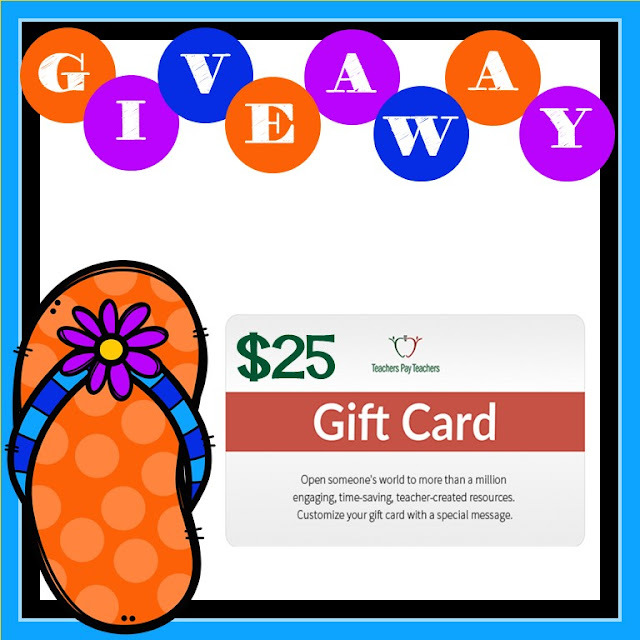 One way to make it even better would be to win a $25 Teachers pay Teachers gift card! Co-hosts: An Apple for the Teacher, Jackie Crews, LIVIN' IN A VAN DOWN BY THE RIVER, Mrs. Hansens Helpfuls, Growing Grade by Grade, Dee Bibb - Teaching at the Beach, Teach with Hope, The Literacy Garden, and Globe Trottin' Kids. Rules: Use the Rafflecopter to enter. Giveaway ends 7/3/17 and is open worldwide. I am already two full weeks into summer school! Time is flying by! Since I normally teach 4th graders and I am teaching K and 1 right now, you know I have been stalking Teachers pay Teachers looking for new products to use! And... while I'm there, I keep finding things for the fall as well! 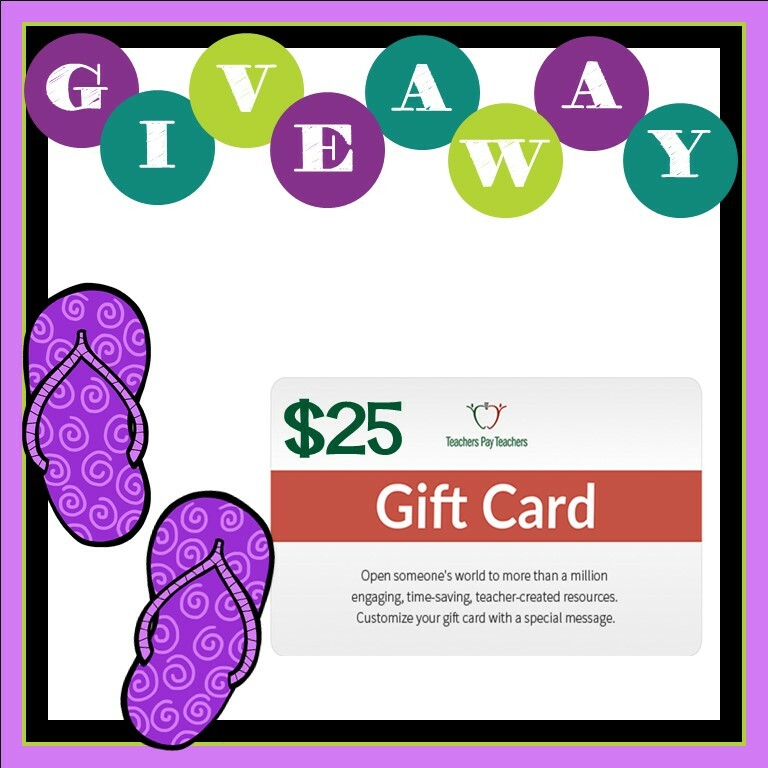 If you are also perusing Teachers pay Teachers, I'm sure a $25 gift card would come in handy! If you're in full-on summer mode, you can just save it until fall! Co-hosts: An Apple for the Teacher, LIVIN' IN A VAN DOWN BY THE RIVER, The Best Days, and Teach with Hope. Rules: Use the Rafflecopter to enter. 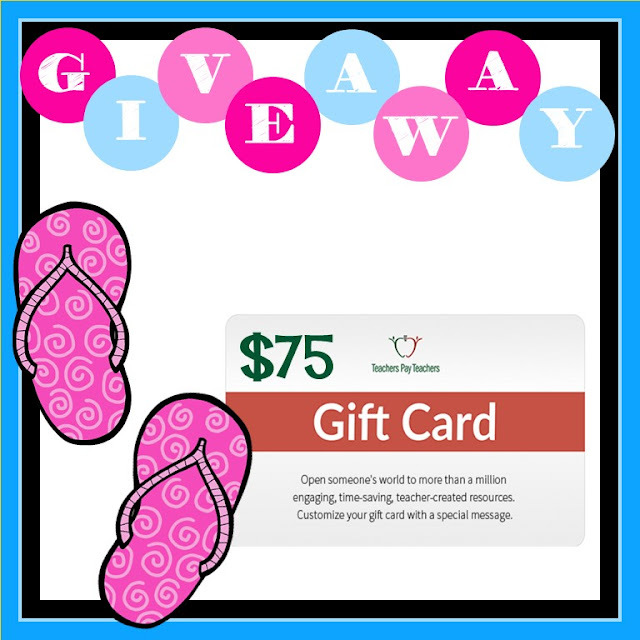 Giveaway ends 6/26/17 and is open worldwide. Welcome to our book study of The Writing Strategies Book: Your Everything Guide to Developing Skilled Writers by Jennifer Serravallo! I am joining forces with some other fabulous teacher bloggers to discuss the writing strategies we come across in this AMAZING professional text! Because this book isn't your typical professional development book filled with individual "chapters" of narrative, each teacher blogger will be giving you a glimpse into the 10 goals that are represented in the text. 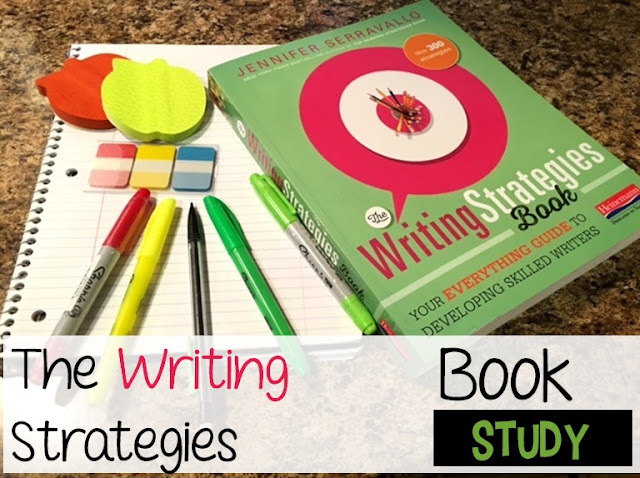 Each goal area is filled with many valuable strategies that will help you to support and guide your students as they become better writers. Keep in mind, we are only highlighting a FEW strategies in each section. There are over 300 strategies in the whole book! Serravallo says that writing can fell very lonely. You work by yourself: thinking, getting the words down on the page, problem solving, checking, and rechecking. But... she says it doesn't have to be that way. 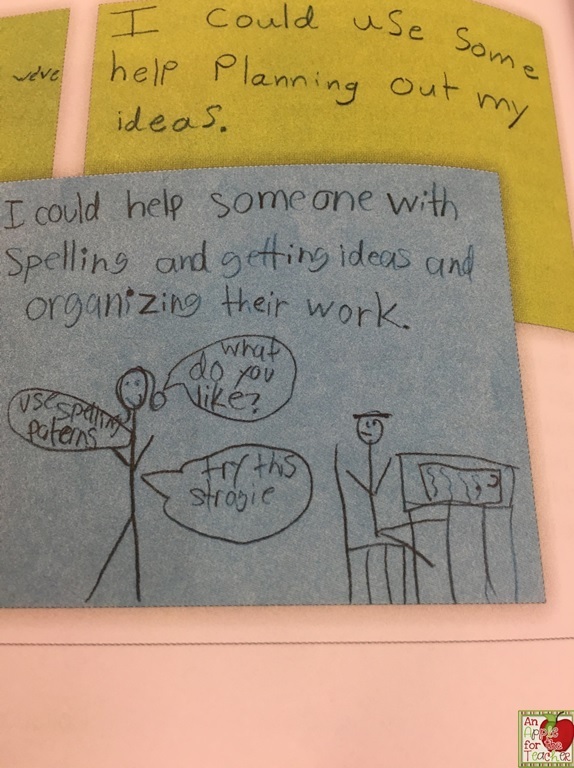 Writing partners and clubs can offer students: motivation and accountability, feedback, chances to get "unstuck", additional ideas, and an expert to compensate for their weak spots. Serravallo says that she hopes that teachers offer all students opportunities to meet together in partnerships of small groups at various points throughout the writing process. Group work can be challenging for many students, so luckily this chapter provides strategies to support them. * One question I have is... Do you have questions? 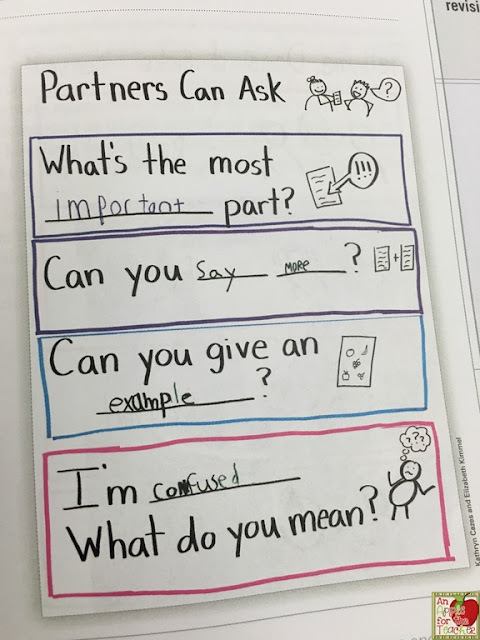 I made these sentence strips to help my students. 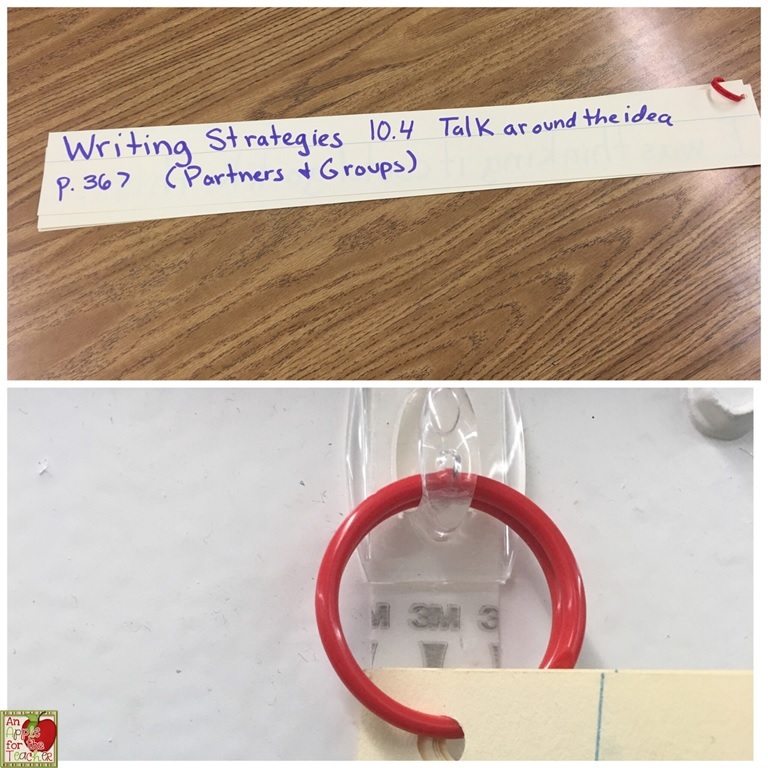 To keep the sentence strips handy for when I am teaching this strategy, I wrote the title of the strategy on the back, and then hooked them together on a command hook. 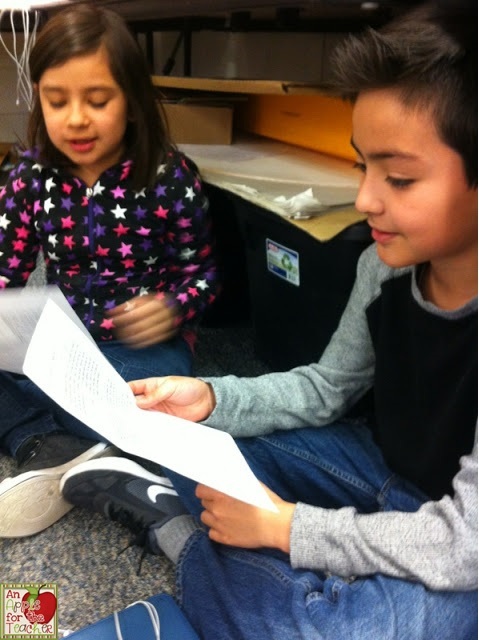 One partner reads their piece aloud to the other (or the partners can read them silently). Partners can ask each other questions to push their writing. 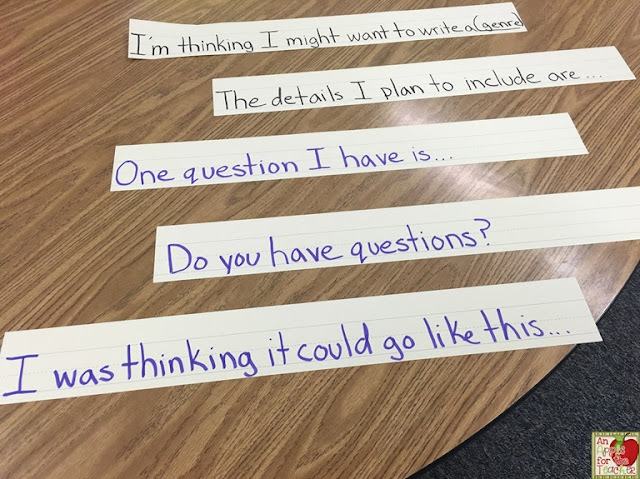 There is an example of an anchor chart you can share with your students to help them generate questions. In this strategy, students think about their strengths as a writer. They can post an offer to help others under a "help offered" section of a board. Likewise, students who need help can write a "help wanted" sign. If you would like to link up your own blog posts about this book, feel free to do so in the linky below! Don't forget to check out the other bloggers' posts as well as they write them for even more ideas! Would you like to win a $25 Teachers pay Teachers gift card? Every week we give away one to a lucky reader! Will it be you this week? Co-hosts: An Apple for the Teacher, LIVIN' IN A VAN DOWN BY THE RIVER, and Trending Technology in Tennessee. Rules: Use the Rafflecopter to enter. Giveaway ends 6/19/17 and is open worldwide. It is time for our monthly giveaway! You have a chance to win a $75 Teachers pay Teachers gift card to help you get ready for next school year! Co-hosts: Kelly Malloy (An Apple for the Teacher), A Plus Kids, Reading and Writing Redhead, PreK Kristin, Jackie Crews, Mickey's Place, The Chocolate Teacher, Heart 2 Heart Teaching, Leah Popinski, MM Bilingual, Teaching Ideas for Those Who Love Teaching, Trending Technology in Tennessee, A Library and Garden, Planet Happy Smiles, Teacher Gameroom, Cara's Creative Playground, Traci Bender - The Bender Bunch, Paula's Preschool and Kindergarten, Kindergarten Is Crazy, Teaching Where You're Called, Mrs Hansens Helpfuls, Debora Marines TeachMagically, Teacher Jeanell, Southern Drawl, and KB3Teach. Rules: Use the Rafflecopter form to enter. Giveaway ends 6/13/17 and is open worldwide. Many of you are out of school for the summer! 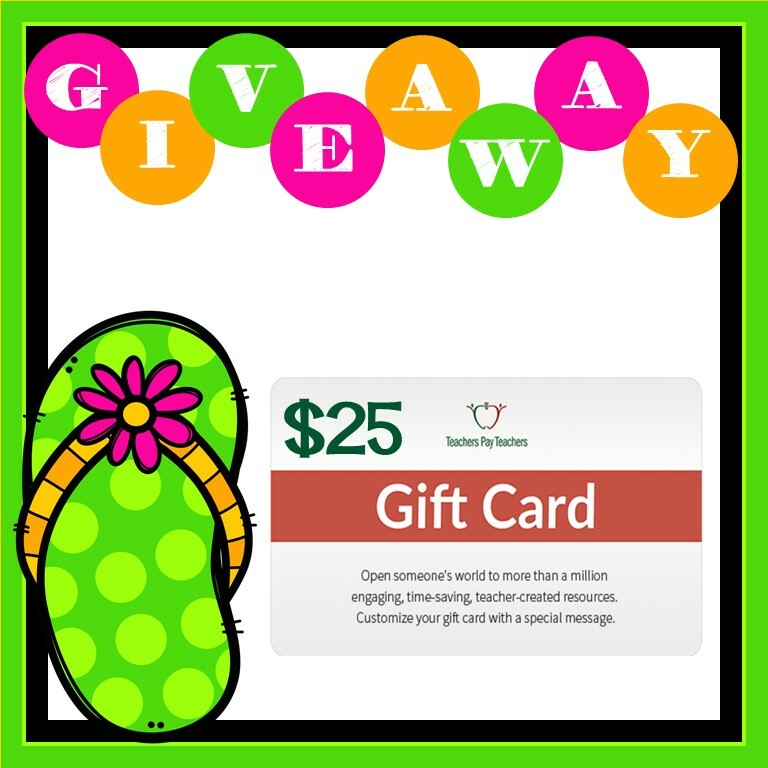 But, even if you're in full summer relaxation mode, I'm sure you'd love a $25 Teachers pay Teachers gift card! Even if you're not in planning mode, you can save it until Back to School! Serravallo says that choosing to teach the strategies in this chapter means that you're choosing to teach how authors make decisions around grammar and punctuation, not just assigning students to do it correctly. According to Serravallo, all students will benefit from paying some attention to their grammar and punctuation choices. * can use support making their writing more readable. * are ready to challenge conventions and play with language. 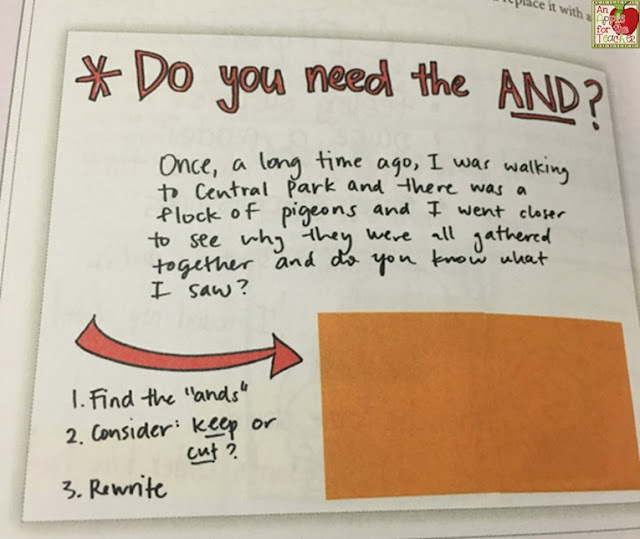 In this strategy, you ask the student to read the first item on their editing checklist. They then read through their draft making any changes they notice having to do with that first item. When they finish, they repeat these steps going through each item in the checklist. 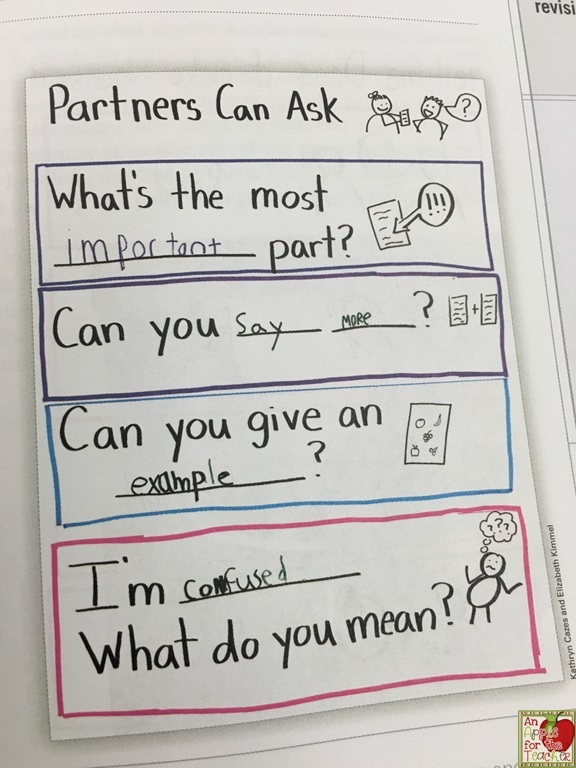 Serravallo suggests that the best checklists are reminders of things that the students have already been taught and have learned how to do. I agree with this, and I think it is even more powerful when the students generate their own checklists. Focus Strategy 2: To And or Not to And? I have to first say, I LOVE the name of this strategy. Now with that our of the way, this strategy is for kids who LOVE to use the word "and". Can we say run-on sentences? I went to the water park and went on the water slides and ate ice-cream and then I went in the wave pool and the lazy river. 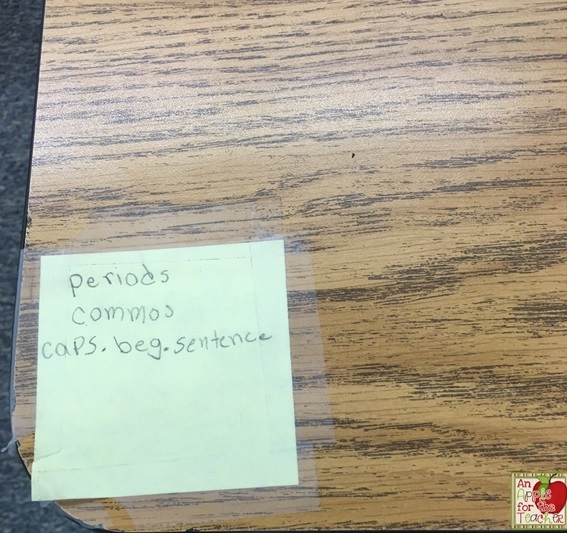 This strategy asks the child to find a place in their writing where they've used the word "and" several times in one sentence. They should re-read the sentence and think, "Which of these ideas/details need to stay connected"? They should keep the "and" where the ideas and details are related and delete it where they aren't. Sometimes when students learn new skills or strategies they get so excited that they go into over-use mode. This strategy helps the student to remember the purpose behind the technique and to exercise restraint. You have the student scan their draft to find a place where they've used the same technique over and over. They should consider the purpose and decide what to keep and what to change. 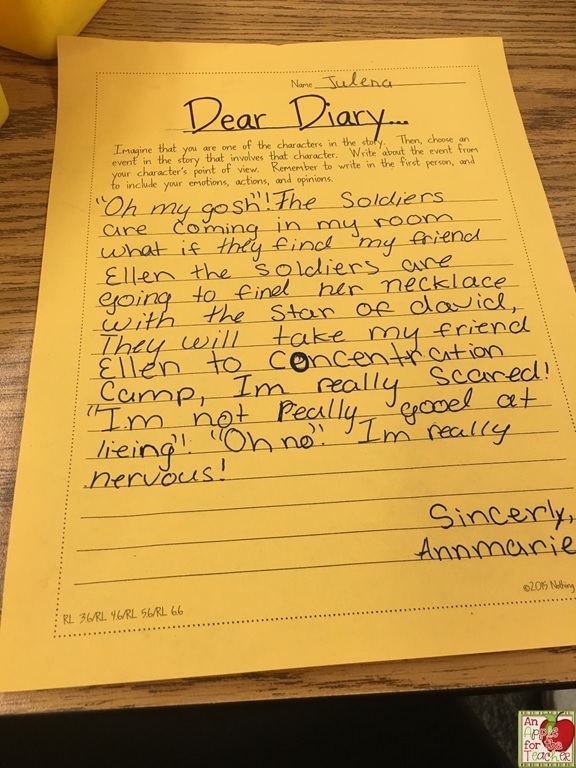 As you can see from the student sample above, this student is excited about using dialogue and exclamation points. She would be a great candidate for this strategy! Make sure to visit Sarah over at Kovescense of the Mind She is our official hostess for this week, and she has some more strategies and great ideas for you!